In 1894 the Hotel LaFayette was built by Harry Williams, located beside the Clifton Hotel. This hotel was five storeys in height and was built of red brick. Although the bottom four floors were of the same size, the fifth floor was about half the length of the others. Hotel LaFayette also had a six storey high circular turret which was used as an observatory. 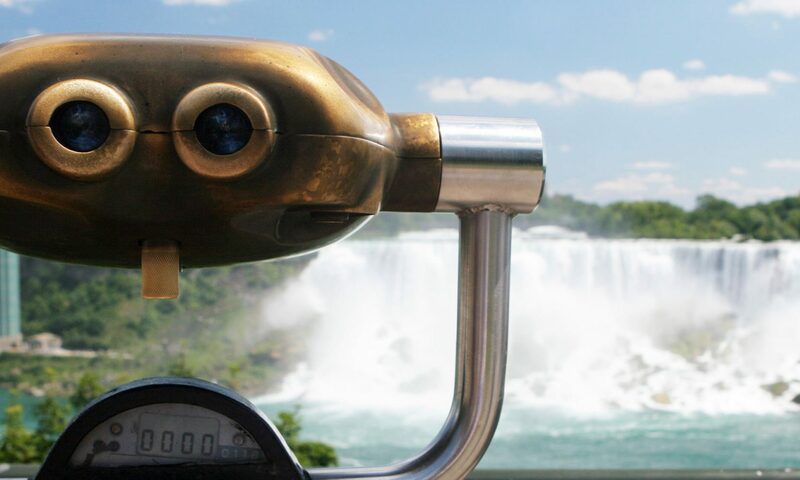 This observatory provided a magnificent view of the American and Horseshoe Falls. The LaFayette Hotel was named in honour of French General, the Marquis de LaFayette, who helped the Americans in the American Revolution. The LaFayette Hotel boasted 50 rooms with many amenities including electric lights, bells, elevator service, hot and cold running water, phone service and private or public baths. The main bottom floor consisted of a dining room, a museum and a bazaar and three floors had iron balconies on the front east side, which provided great views of the Falls. During the second Clifton Hotel fire, the LaFayette Hotel caught fire several times but on each occasion the fire was extinguished to save the hotel. In 1933, Mr. Harry Oakes purchased the LaFayette Hotel. A year later, the Hotel LaFayette was torn down and the property became part of Oakes Garden Theatre.